Designed for home theater owners that want the experience of a real theater in their home, this projector features some impressive features for a relatively affordable price. Follow along as we rate the units various features. The first standout feature for the PowerLite 8350 is the lens shift technology. This allows you to shift the image either vertically or horizontally without ever moving the projector. For example, if your screen is just a tad higher than the projector image, you can just shift it vertically. This gives you a lot more freedom on where you can place the projector. It also features a manual zoom. The projector comes with two HDMI ports, a VGA port for your computer and three RCA phono plugs. It supports S-Video and composite video. Its dimensions are 5.7 inches high by 17.7 inches wide by 15.5 inches deep, and it only weighs 16.1 lbs, making it relatively lightweight. The projector produces really good images. The skin tones look natural, and the colors looked fairly vibrant. As the film switches between light and dark areas, there wasn’t any noticeable loss in detail. The image motion looked natural as well. So, the PowerLite 8350 is great for watching full length movies. The Epson PowerLite Home Cinema 8350 Projector has a 2000 lumens rate, which is extremely bright. This works well for rooms that have a lot of ambient light like dens or living rooms. But, if this is too bright for your home theater, you can switch the setting to the Eco mode, which isn’t as bright. The price is competitive at $1,300. It’s not the cheapest home theater projector that you’ll find, but it’s definitely less expensive than a lot of the other ones on the market. 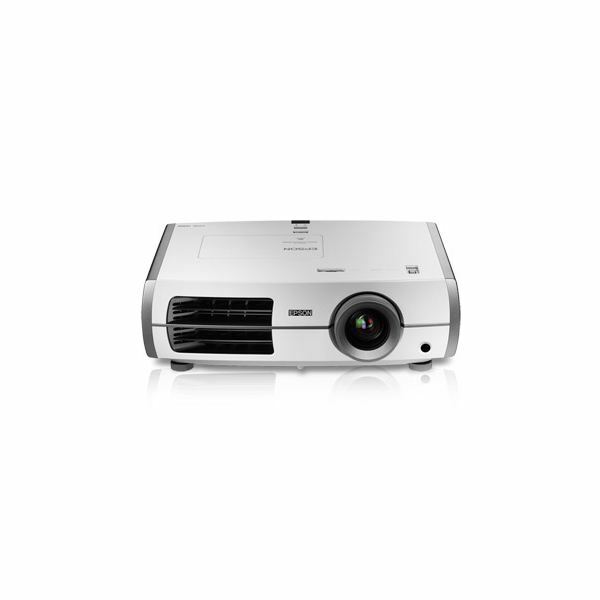 It is comparable to the Optoma HD20 projector, which costs about $925, and it has similar features. But, the PowerLite has a few more features (including the horizontal/vertical lens shift) that make it worth paying the extra $400. The major downside of this projector is that the blacks aren’t as deep as many of the more expensive units. So, picture quality does suffer a bit. It also doesn’t support 3-D technology. If you are setting up a 3-D home theater, this probably isn’t the projector for you. However, if you are investing in 3-D components, then you probably should invest in a more upscale projector anyway. Overall, the Epson PowerLite Home Cinema 8350 Projector is a great budget projector. It produces a great picture quality despite the problem with the blacks. If you are in the market for a good, inexpensive projector, then you should definitely give this one more than just a passing glance.